5 Tips for Getting Fit and Having Fun! We all would like to get in shape for the summer, but working out can sometimes be a drag. These five tips about how to have fun while burning calories will surely help you turn that flab into fab! 1. Doing cardio exercises are the best way to burn calories. Doing little things such as walking the dog, biking to work (if it’s in reasonable distance), or catching up with a friend while taking a stroll in the park can start you off to a great day. You can also take the stairs instead of the elevator! Hello buns of steel! 2. Laughing is one of the best ways to burn calories. A good, hearty belly laugh contracts your abs and even works out your shoulders. Get your girlfriends together for National Tequila Day on July 24 and make some margaritas! My favorite margarita mix? 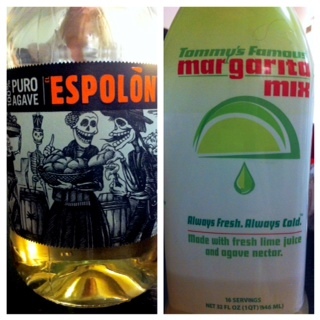 Tommy’s 44-calorie margarita mix. It’s delicious and contains all natural ingredients such as Organic Agave nectar. 3. Want to feel the burn? Do core workouts during commercials of your favorite summer TV show! Watching “So You Think You Can Dance” motivates me to look like those dancers. I like to switch off between crunches and lunges, but pushups and planks work as well. Do 30 crunches, then 30 lunges. Keep switching off until the commercials are over. Don’t forget to drink water! 4. I love to dance while cleaning. It just makes it more fun! Put on your favorite song, turn up the volume, and make sure the blinds are closed, so you can really “dance like no one is watching!” Need suggestions? “Shake It Out” by Florence + the Machine (or the whole Ceremonials album), “Heads Will Roll” by the Yeah Yeah Yeahs, and “Civilization” by Justice. 5. When you’re happy with your results, reward yourself by taking your credit card for a work out by going shopping (which is also a great cardio work out). Power-walk through the mall in between stores! Exercising can be fun; it doesn’t have to be a hard-core work out every time! Doing a little something here, and a little something there can get you the results you want in no time.